On warm days, stands of azalea bushes exude a sweet and spicy fragrance. These shrubs in the rhododendron family are one of my favorite plants. 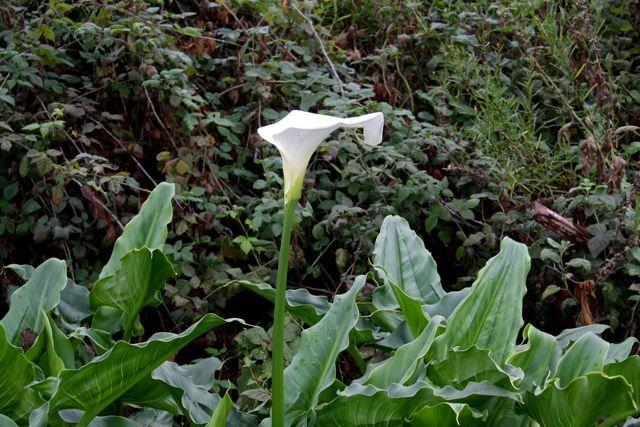 The flowers are beautiful: large white trumpets have a splash of peachy orange on their upper lip, and a delicate array of long stamens. But the best thing about western azalea (Rhododendron occidentale) is their smell: it is the epitome of Californian summers. These shrubs prefer to grow on stream banks, and their pungent aroma is embedded in childhood memories of swimming holes and rock hopping. 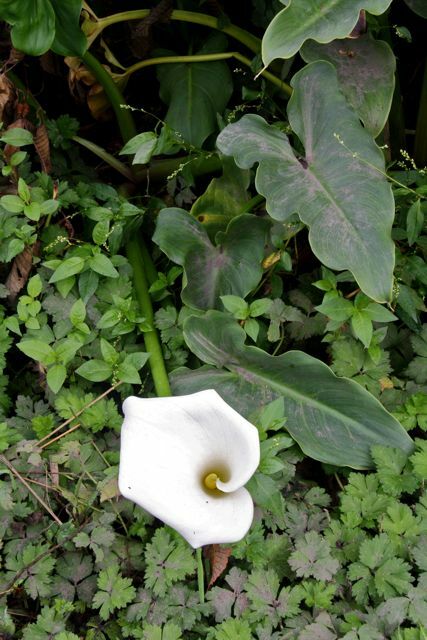 Even the leaves–pale green and slightly sticky–have their own fragrance. It’s a lovely thing. 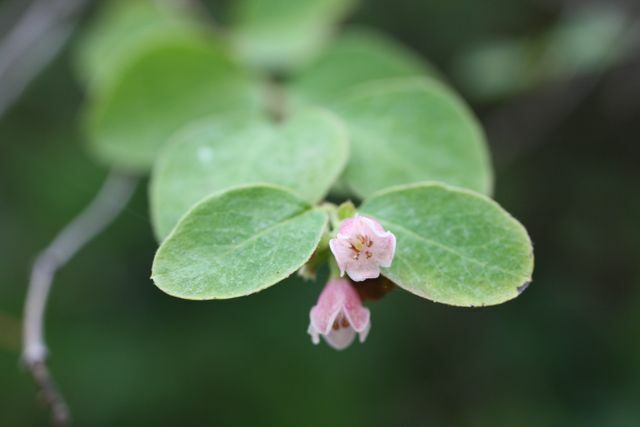 In My First Summer in the Sierra, John Muir said everybody must like this “charming shrub” not only for itself, but “also for the shady alders and willows, ferny meadows, and living water associated with it”. 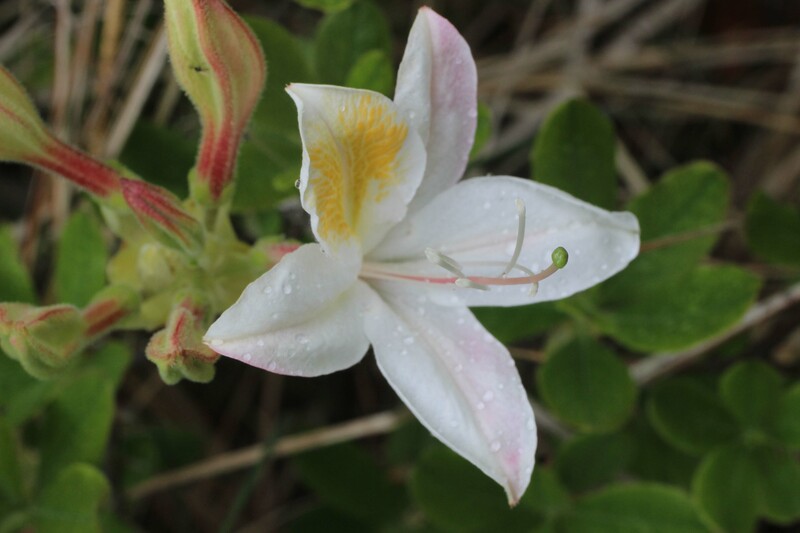 Western azalea also grows in marshy flats, and I spotted the one photographed here at the Potrero Meadow picnic area. 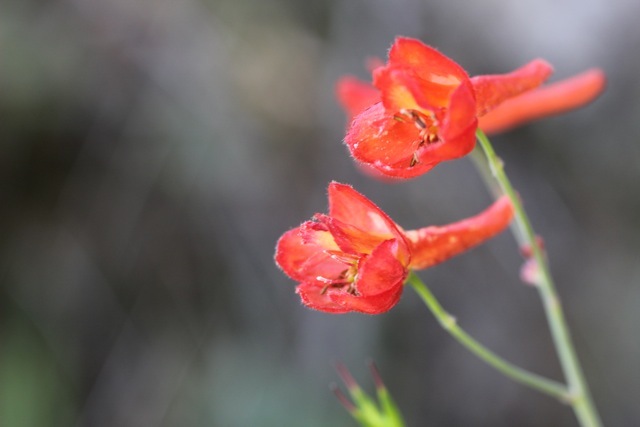 I have only seen azaleas blooming in late spring and early summer, but the Marin Flora says there are some plants near Rattlesnake Camp that have flowers almost all year round–a treat worth keeping an eye out for. True to its name, canyon live oak (Quercus chrysolepis) is often found clinging to ravine walls and steep hillsides. This beautiful and abundant tree is most easily identified by the golden-colored fuzz that coats the concave underside of young leaves–giving rise to one of it’s other common names, goldencup oak. 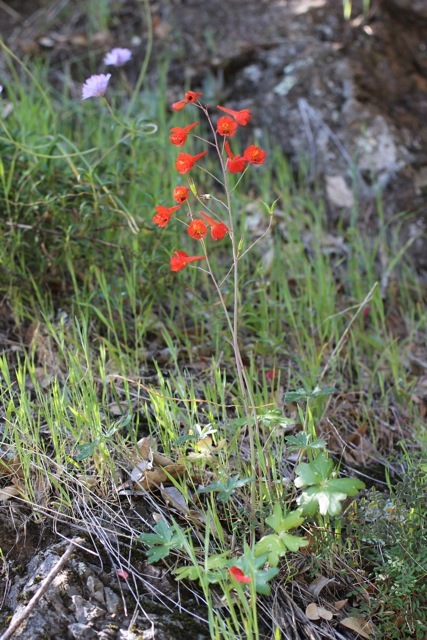 In chaparral it can be low low and shrubby, but in more open country it grows into a graceful tree. Canyon live oak has particularly hard wood for an oak, and its third common name is maul oak as it historically was used to make axles, tool handles, mauls, wagon tongues, plow beams, ship frames, and wheels. Wedges made from canyon live oak were used to split redwood into railroad ties. As with all oaks, its acorns were a favorite food of Native Americans. Once the bitter tannins had been leached out, it can be made into flour for cakes, breads and stews. In the southern coast range, it is a main habitat for spotted owls; myriad other species live in the oak forests, thriving on the abundant nourishment provided by the acorns. Reptiles and amphibians live in trunk cavities, birds nest among the branches, black-tailed deer browse on the leaves and mountain lions prowl through the underbrush. 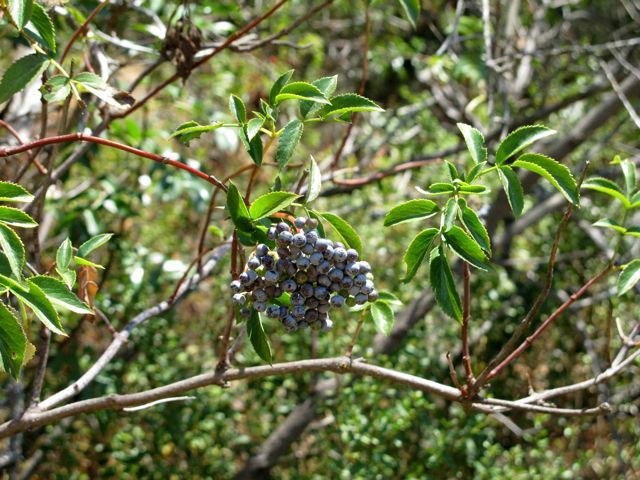 Clusters of grayish-blue fruits hang from the branches of a small tree. Blue elderberry (Sambucus nigra) is a beautiful plant with arching branches. 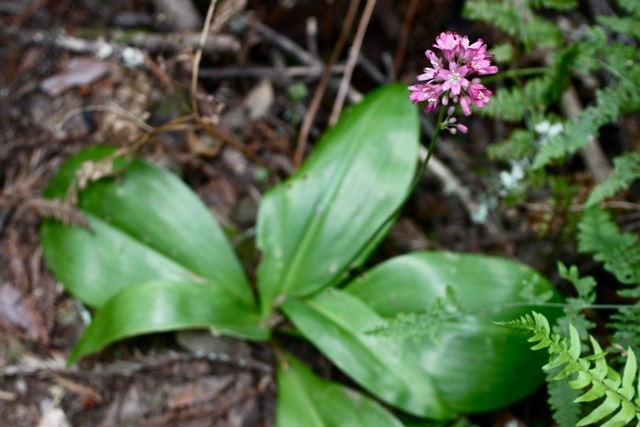 Its shaggy bark is wrapped around with furrows in older plants. 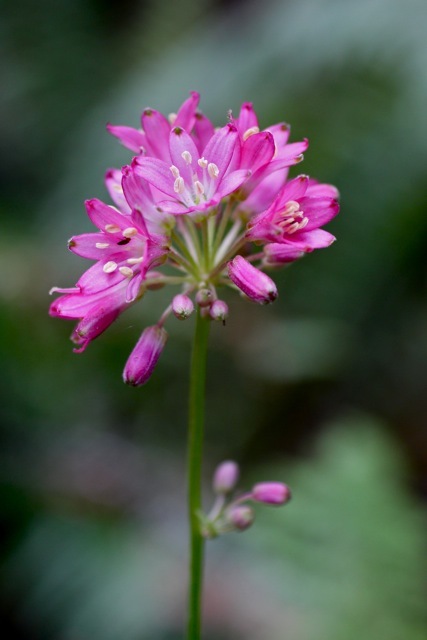 The leaves are a fresh green and paired; each pinnate leaf actually looks like several leaves, since it is composed of 3–9 little leaflets. 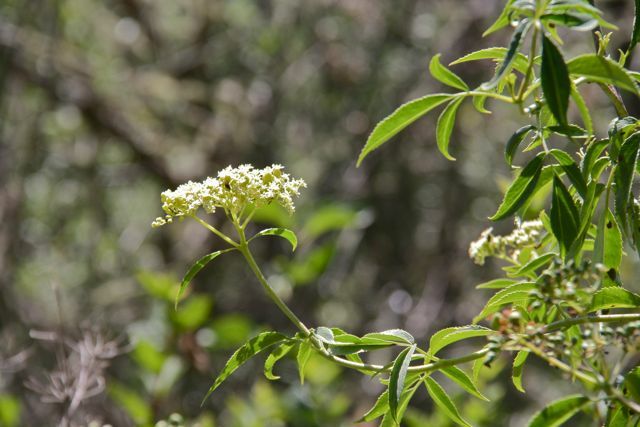 Elderberry has a rich history of being used in cuisine, crafts, and medicine–but it must be approached with caution since the green parts of the plant and the unripe berries are quite toxic. The roots are the most toxic of all. 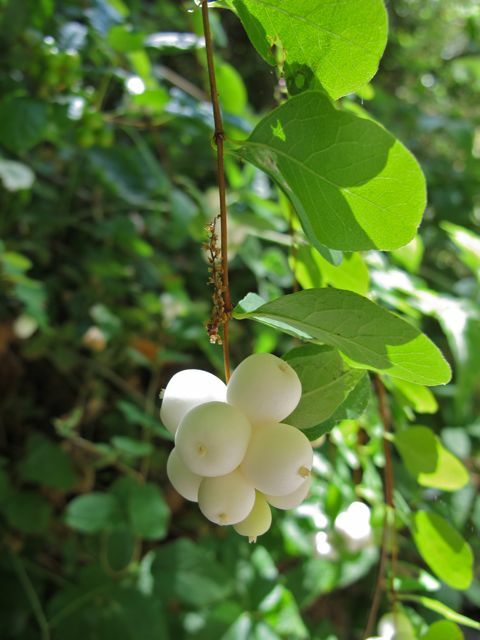 But ripe berries make a delicious syrup, jam or wine, and the plant has long been cherished by traditional cultures. 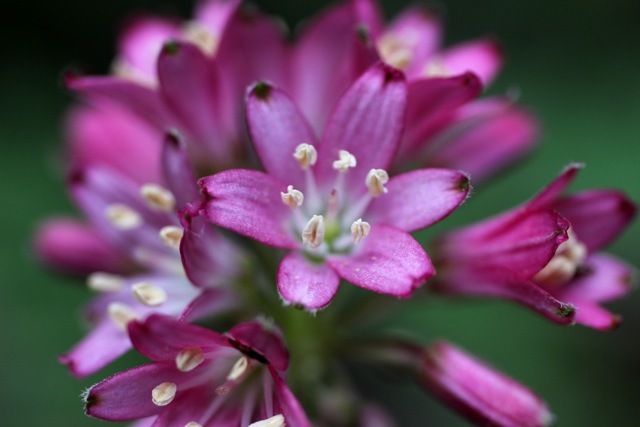 Petals can be eaten raw, made into a tea, or used to flavor pancakes. Some have even dipped the entire flower head in batter and fried it! Elderberry syrup is said to be an effective treatment for the flu; you can buy bottles of it at most health food stores. Native Americans used the branches for baskets, flutes and arrow shafts, and the fruit was a main food source. Before the fruit is ripe, you can tell blue elderberry from its cousin, red elderberry, by the shape of the flower head. Blue elderberry has a flat-topped cluster, whereas red elderberry flowers are arranged in a pyramidal or roundish shape. Despite being in the same family as peppers, potatoes and tomatoes, nightshade is quite toxic. My childhood respect was well-founded; eating the unripe berries has been fatal to more hapless tots. 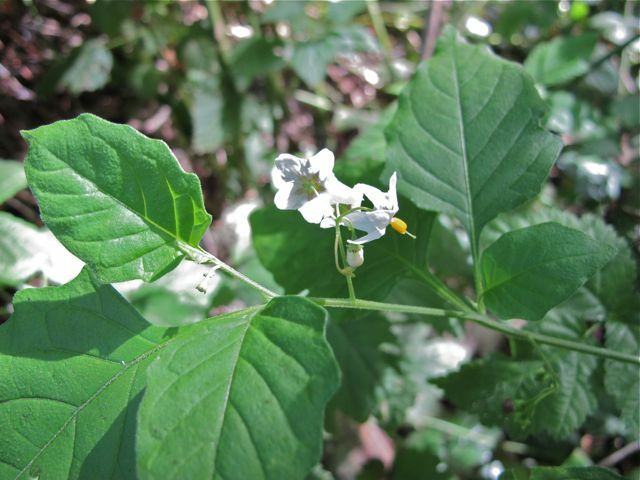 But just how poisonous nightshade is can vary with population, environment, and the age of the plant. Farmers don’t like it because the berries can’t be separated from peas and some beans, it is resistant to some herbicides, and the vines can gum up the harvesting machinery as well (according to the CA Department of Food and Agriculture). I’m not sure whether this is a plus or not, but nightshade also contains salasodine, a natural compound that is used in some countries to manufacture steroid hormones. 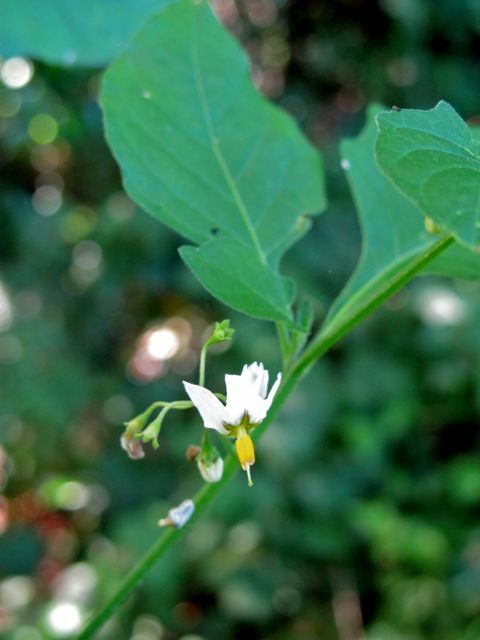 Common nightshade is considered native, but there is a chance that it was an early introduction from South America.